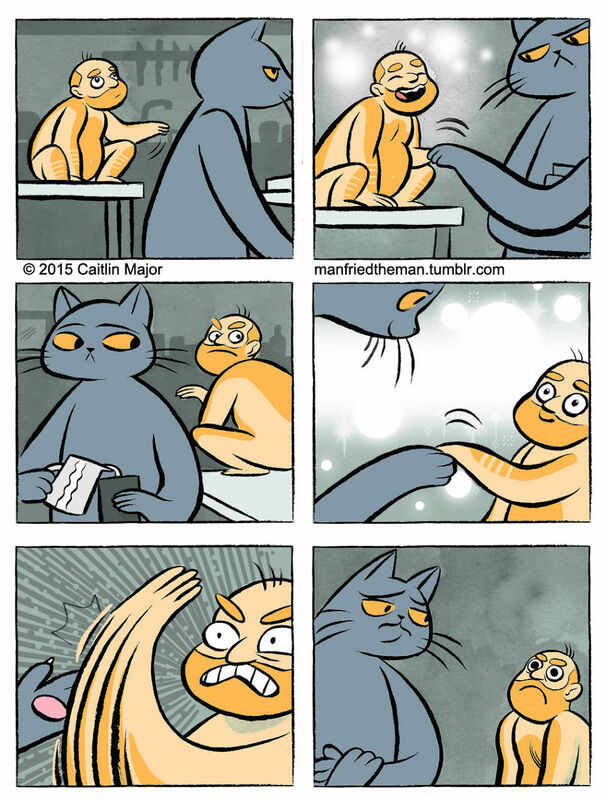 Cats are probably the cutest and the evilest things ever – one second they show their affection and the next they want to punch you in the face. 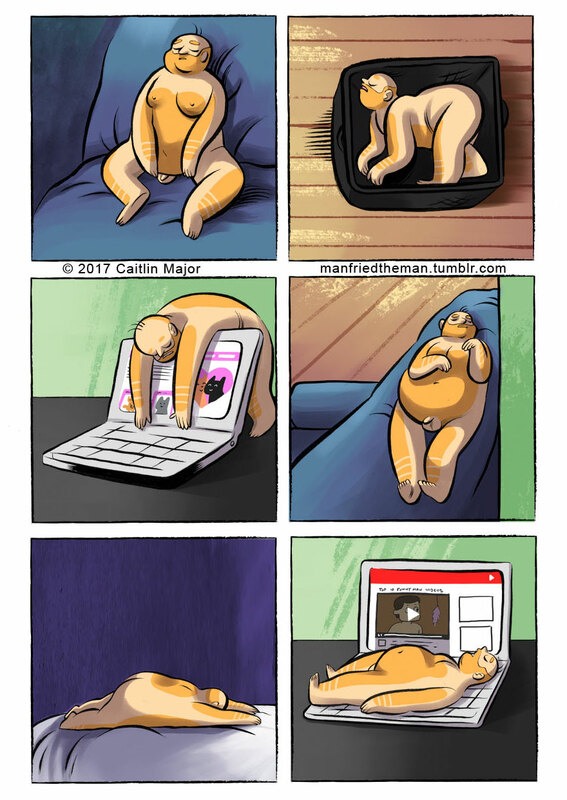 They are adorable to look at and are great companions. 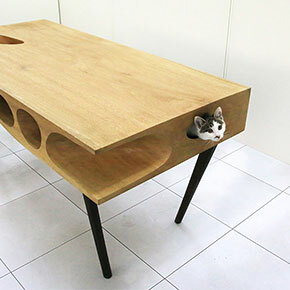 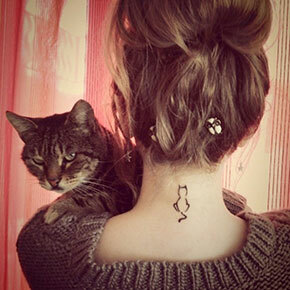 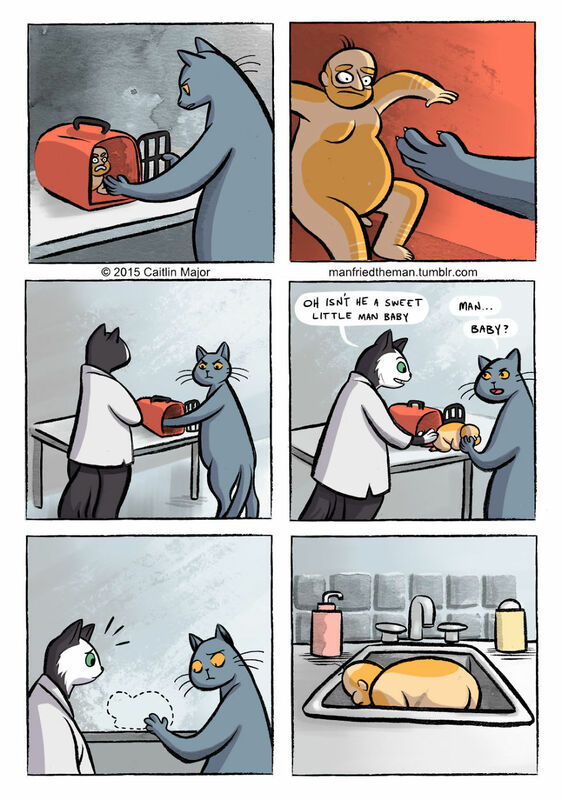 Wait, did I say cats? 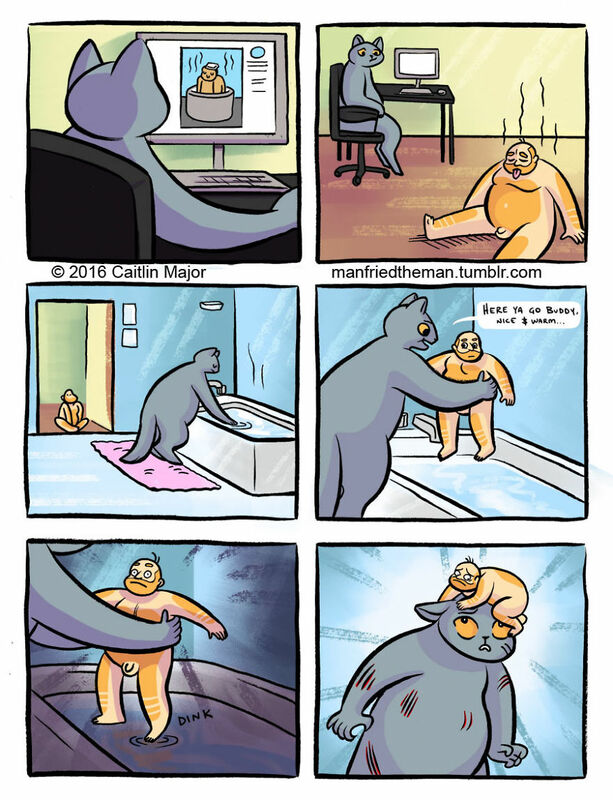 I meant humans. 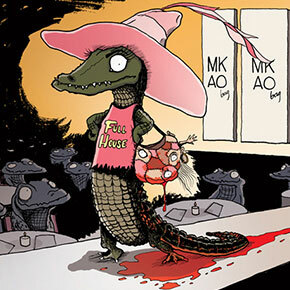 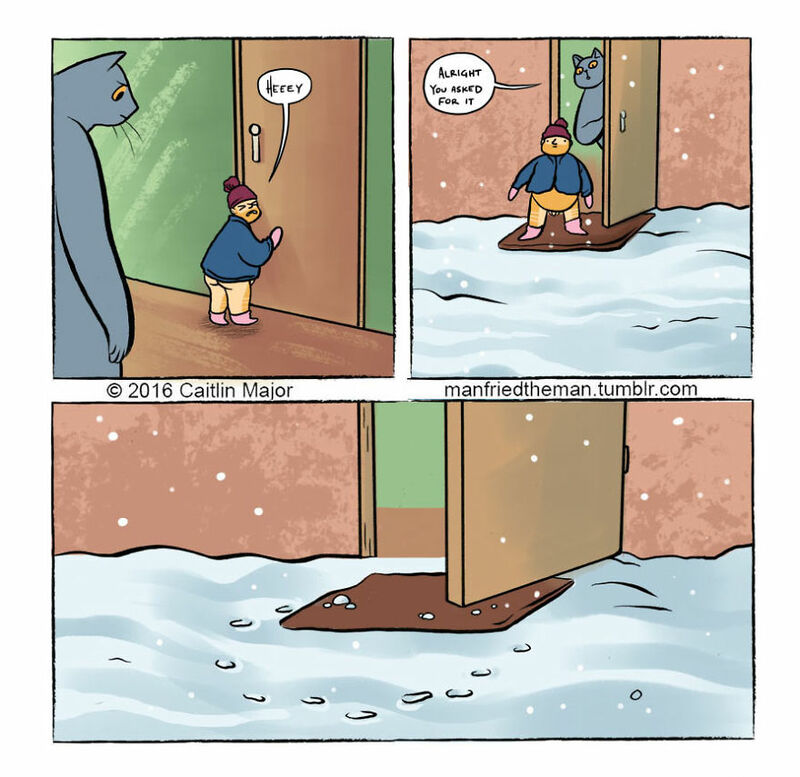 At least in these comics. 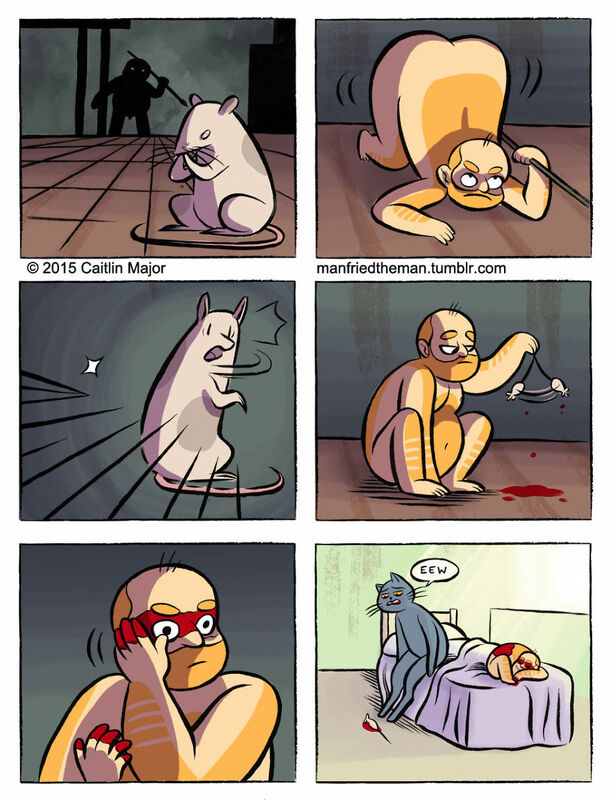 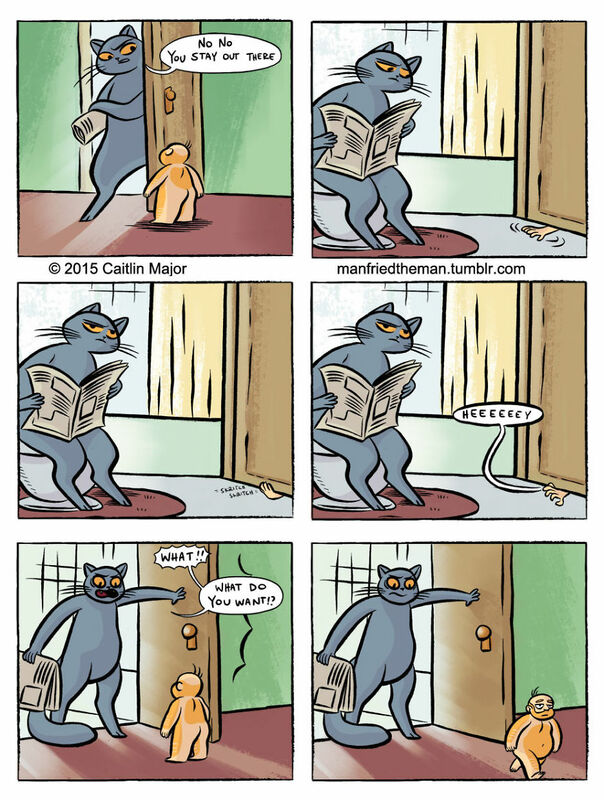 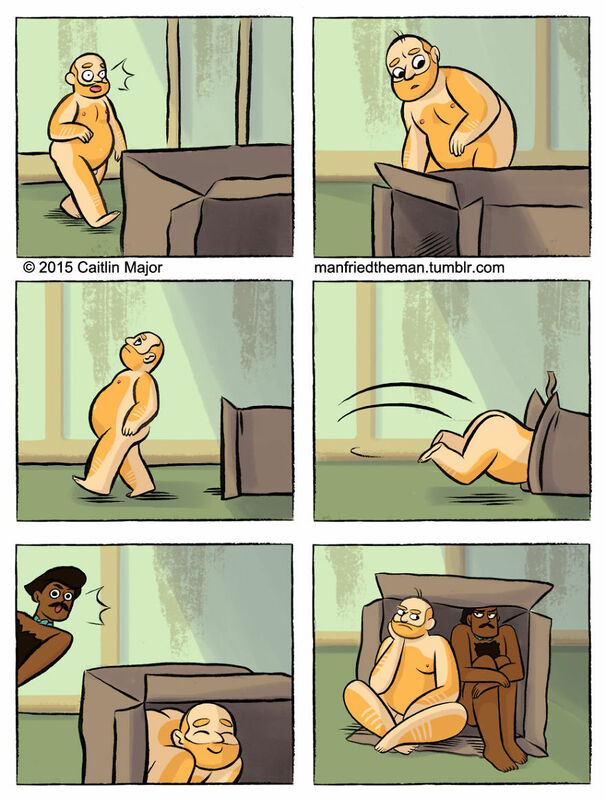 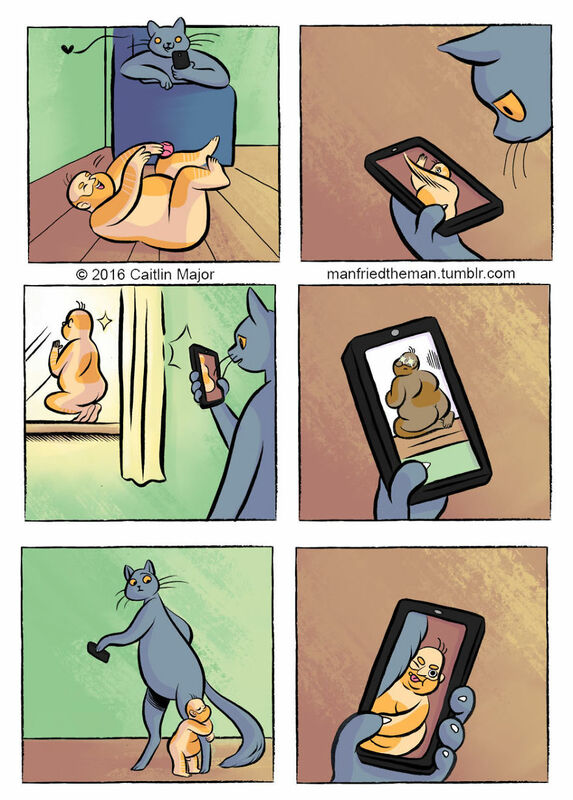 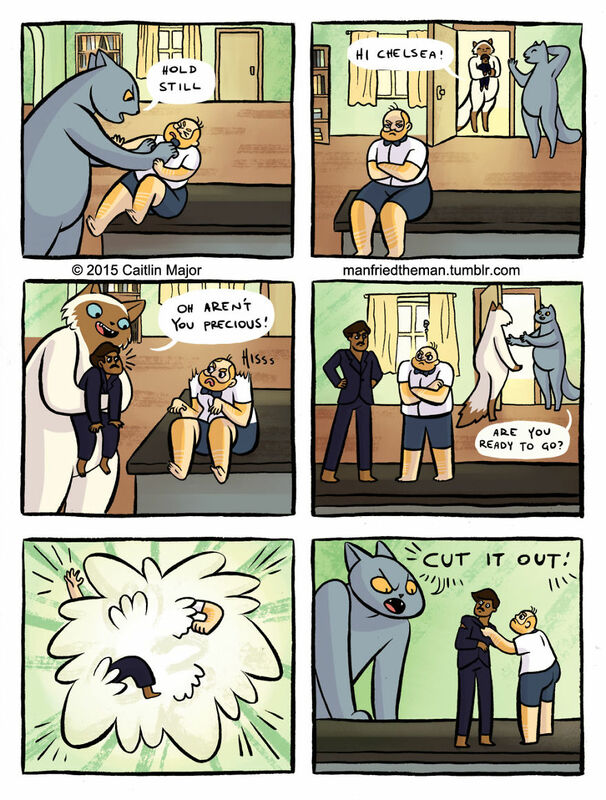 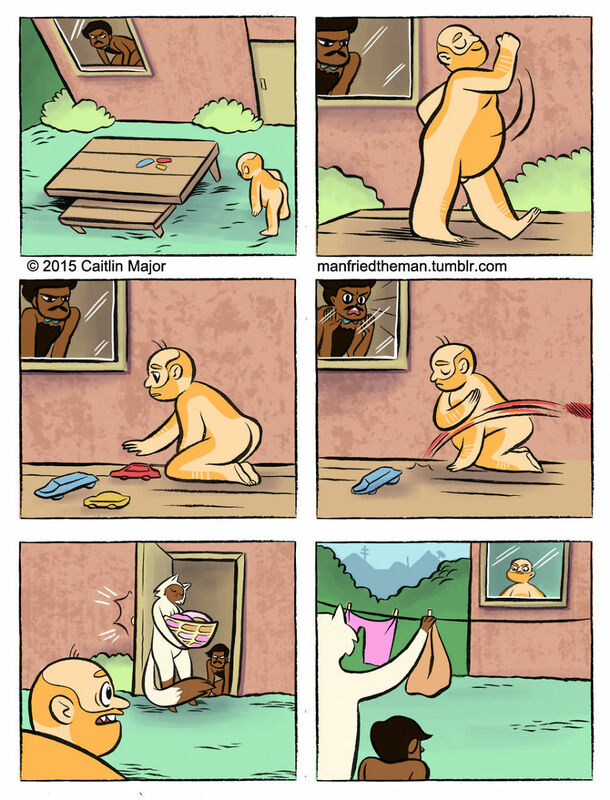 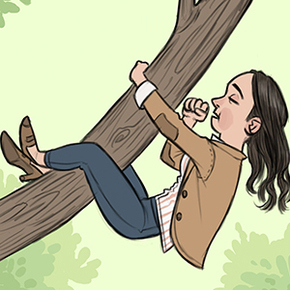 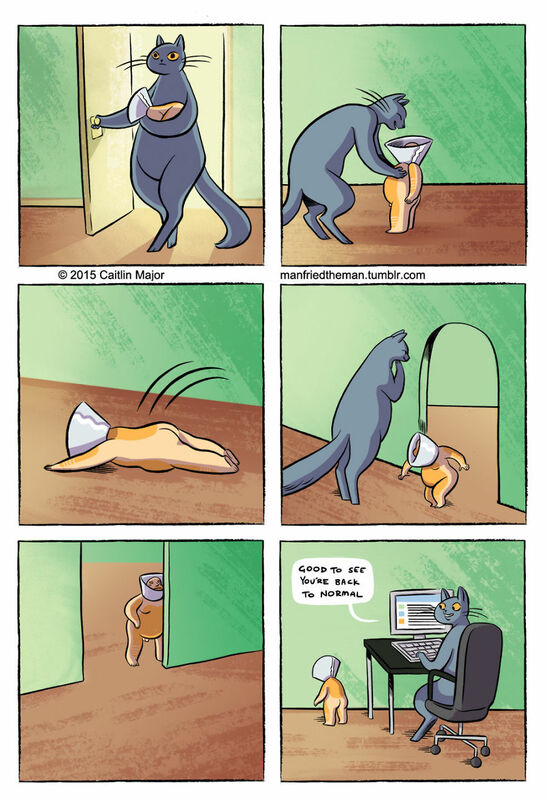 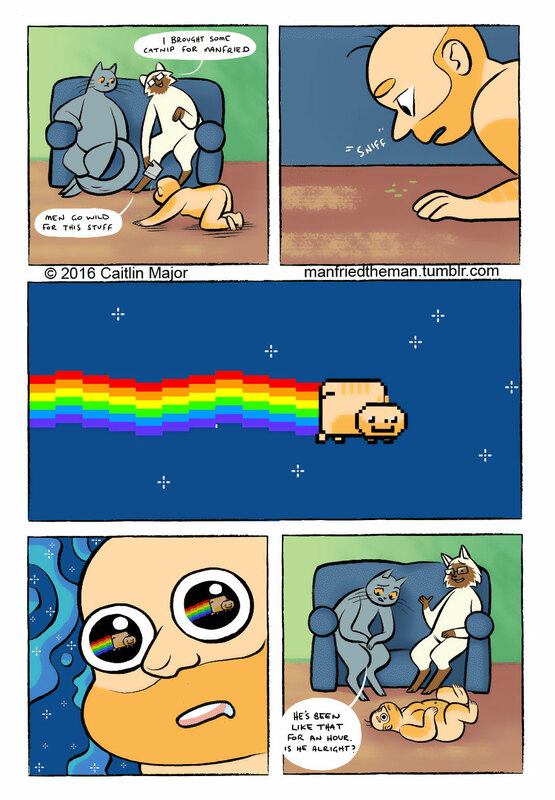 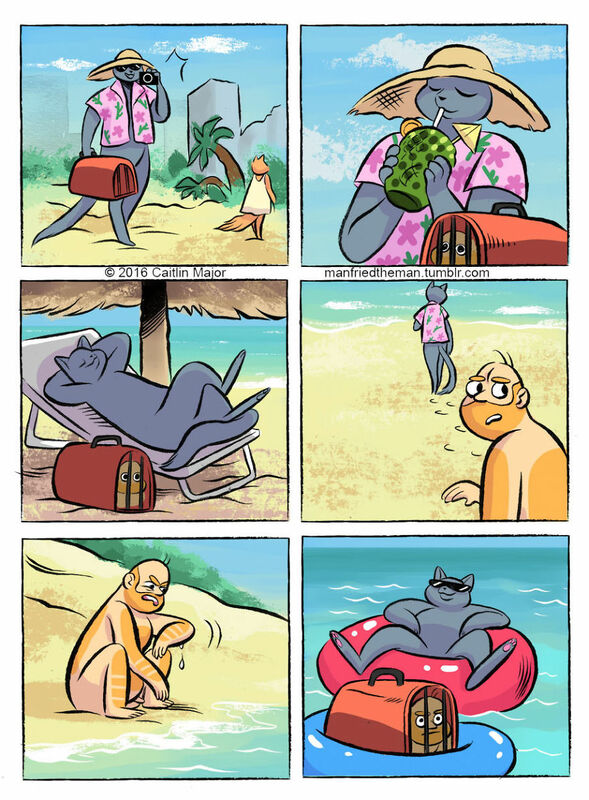 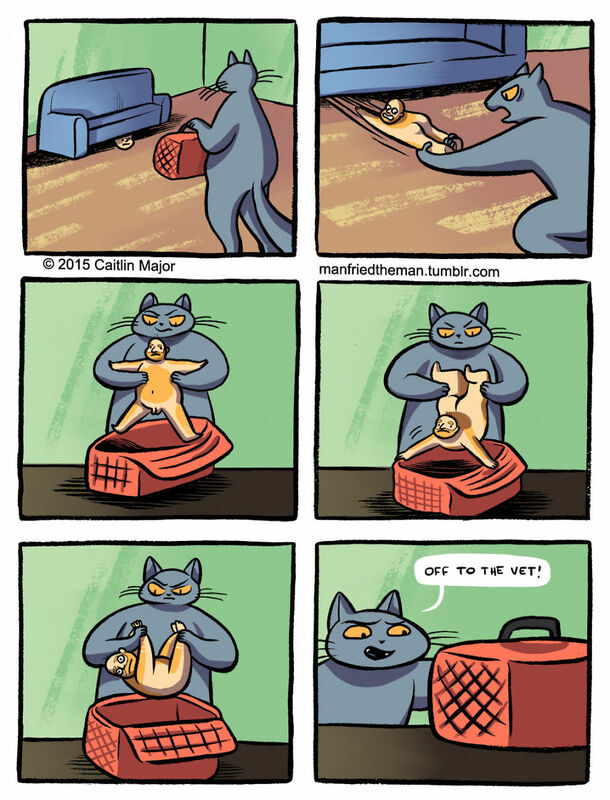 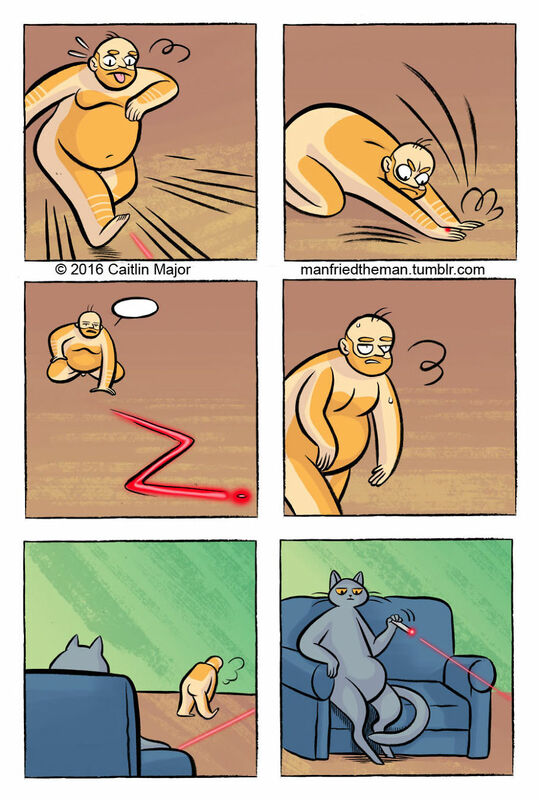 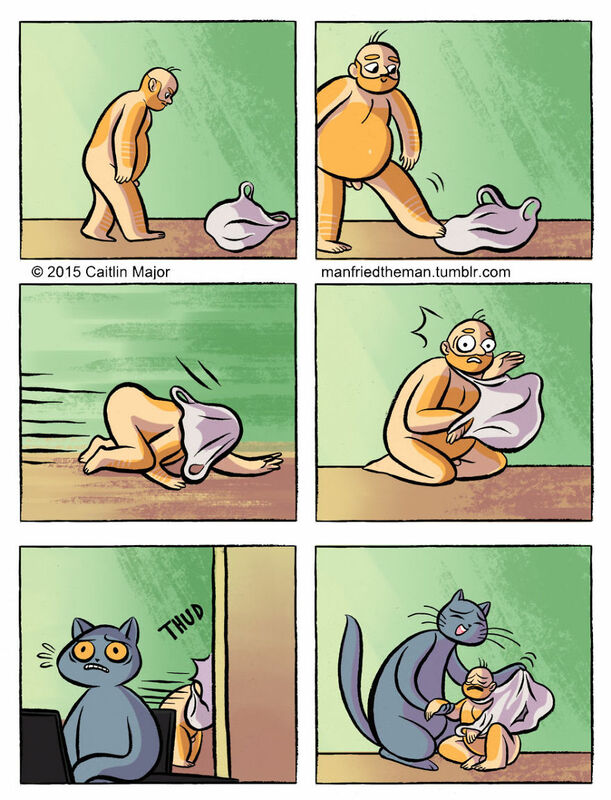 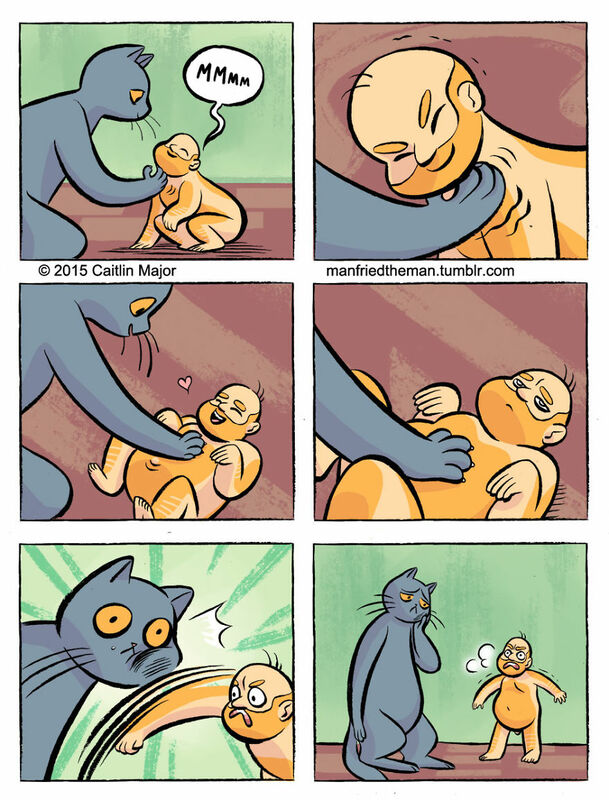 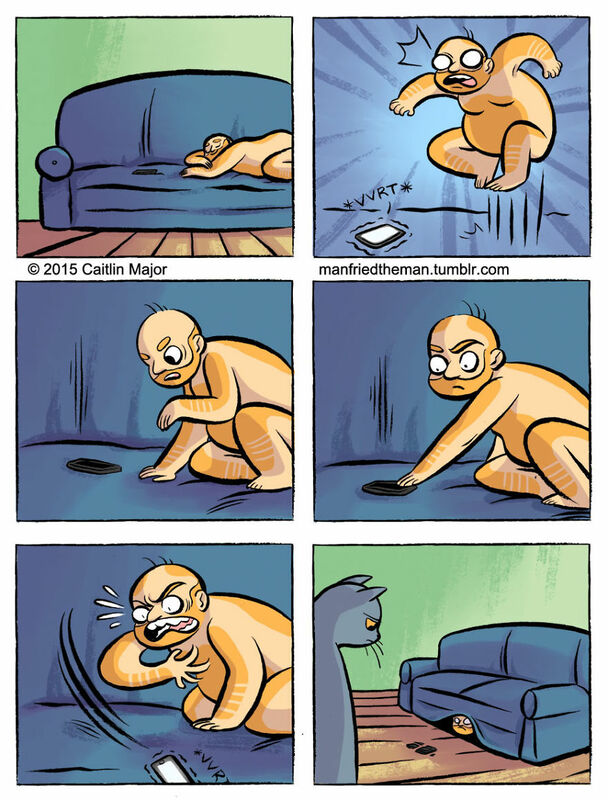 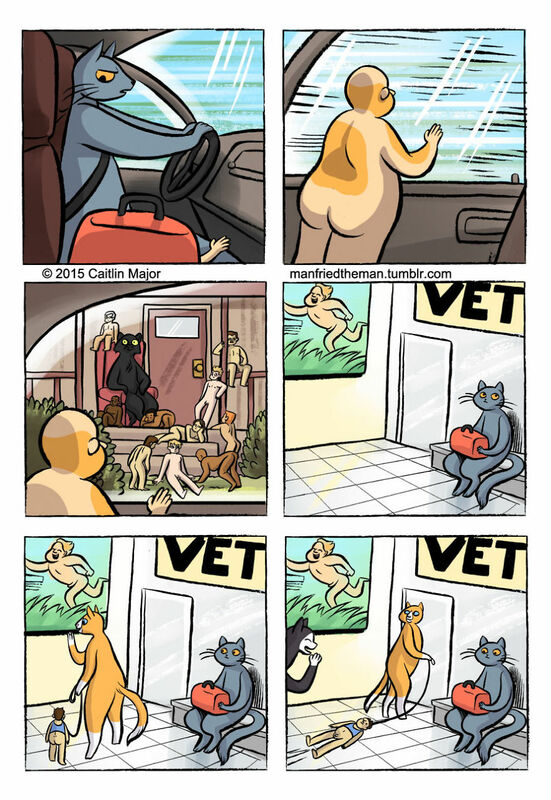 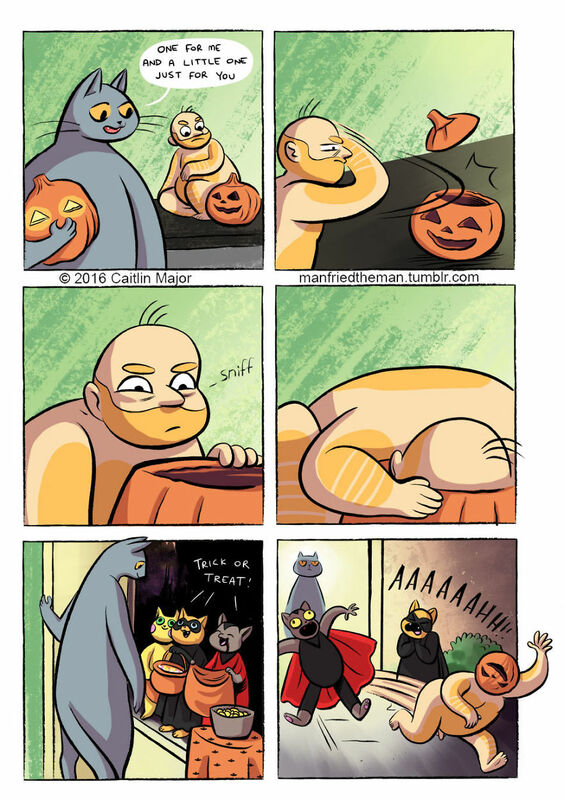 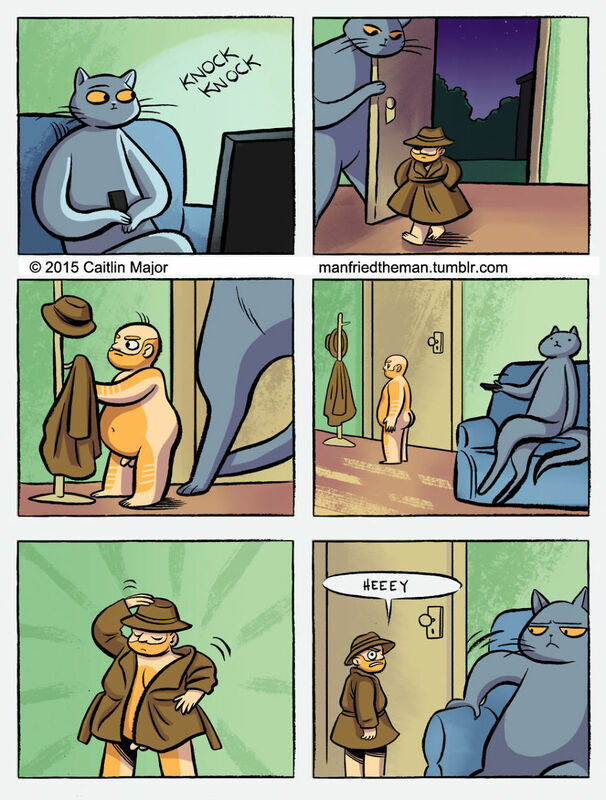 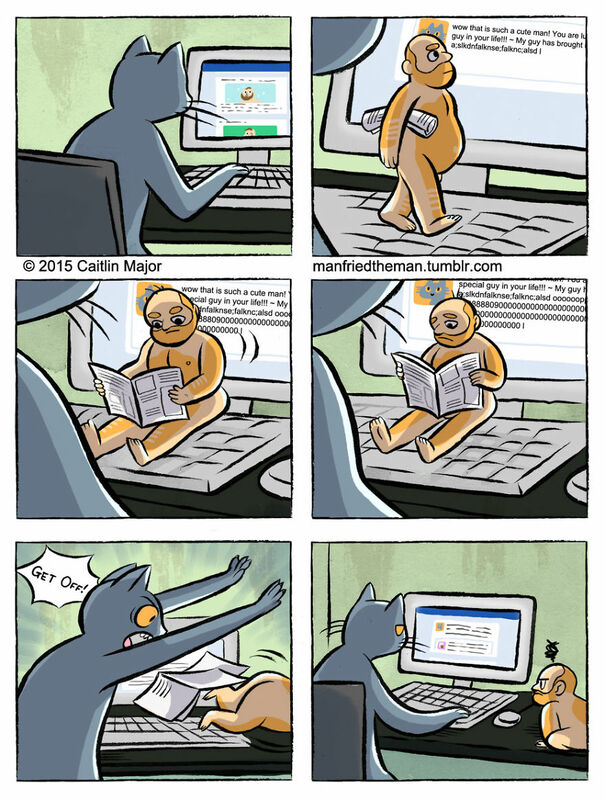 Manfried the Man is a comic series created by Caitlin Major about a tiny human being who’s being taken care of by his owner Steve – a middle-aged, single, anthropomorphic cat. 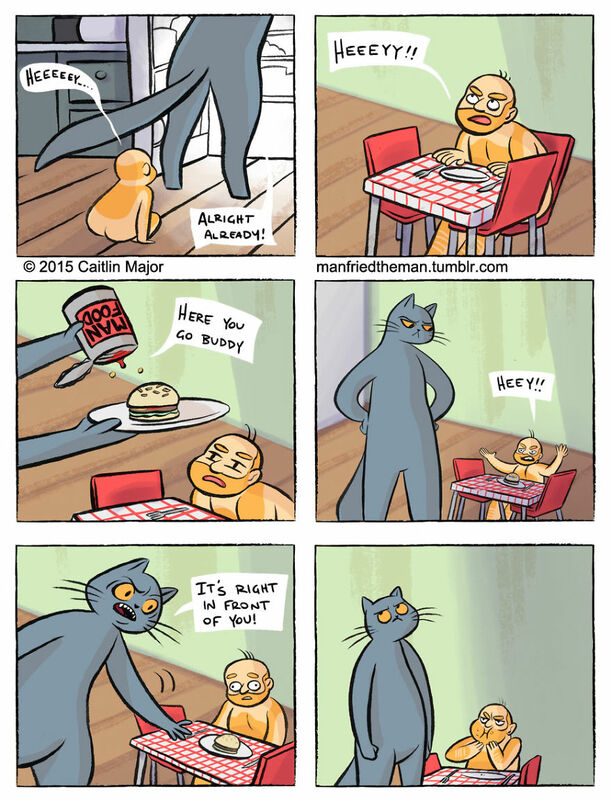 Manfried is a grumpy, lazy, balding, overfed pet man, who loves to knock things off tables on purpose and to sleep in the sun. 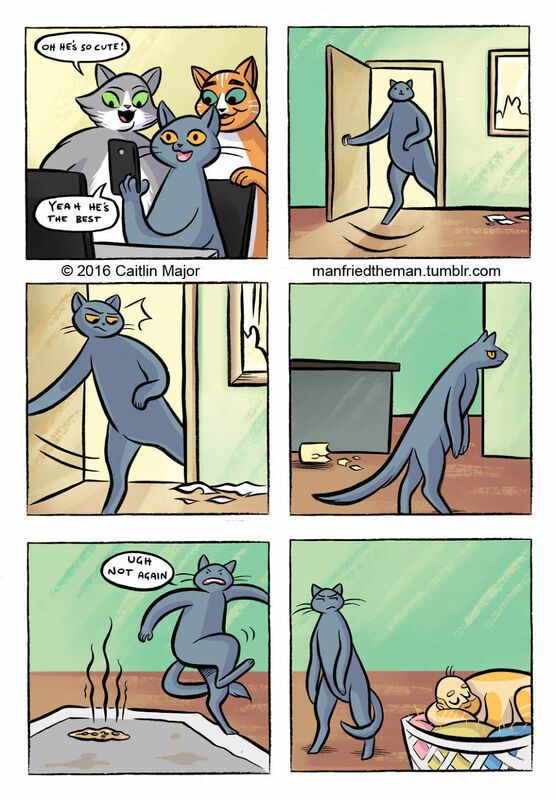 As the internet is obsessed with cats and their adventures, it’s no wonder that people have already fallen in love with the comic series and with the Garfield-like man Manfried.